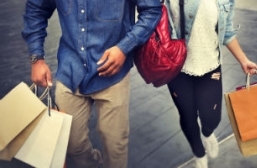 Have your shopping pay for itself by delivering a Passel on your way home! 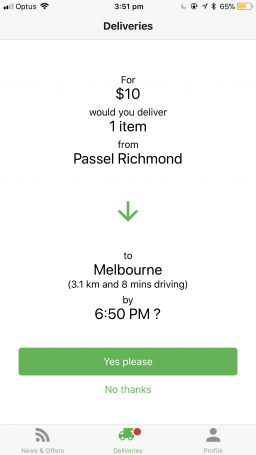 Passel is the crowdsourced delivery platform that lets you make money while out shopping! It's simple: shop, deliver, cash in. We've teamed up with some pretty awesome retailers across Melbourne to offer same-day delivery at a small cost, but a large bonus to you! The next time you're in vicinity of one of our partner stores, we'll send you a message about a delivery. If you're the first to accept you get to cash in! 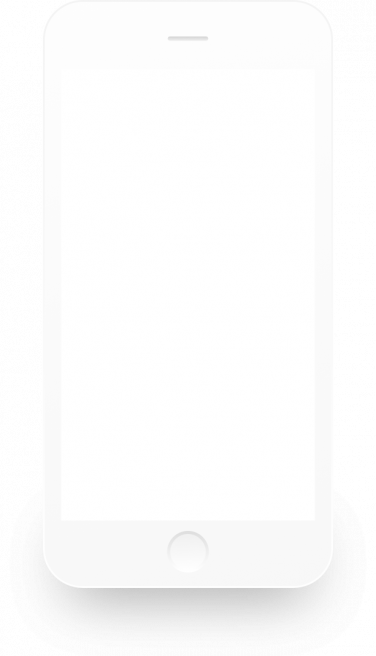 Sign-up via the form above to get started. We'll verify your details and notify you once you're on the system. We'll send you a message when you're in the vicinity of one of our retailers in need of a delivery. If you accept, you'll have 3 hours to make the delivery. When complete, we'll send you $10 in cash or a gift card of your choosing! 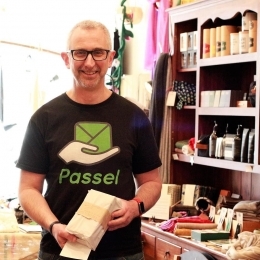 "... [Passel] is changing the way you get your online shopping." Not in Australia, or just want to stay informed? Register here for regular updates!